Last year, I realized I wanted to display the ABC’s in my daughter’s room in a unique way but I didn’t find anything online or in stores that matched my vision, so I started out making this piece. 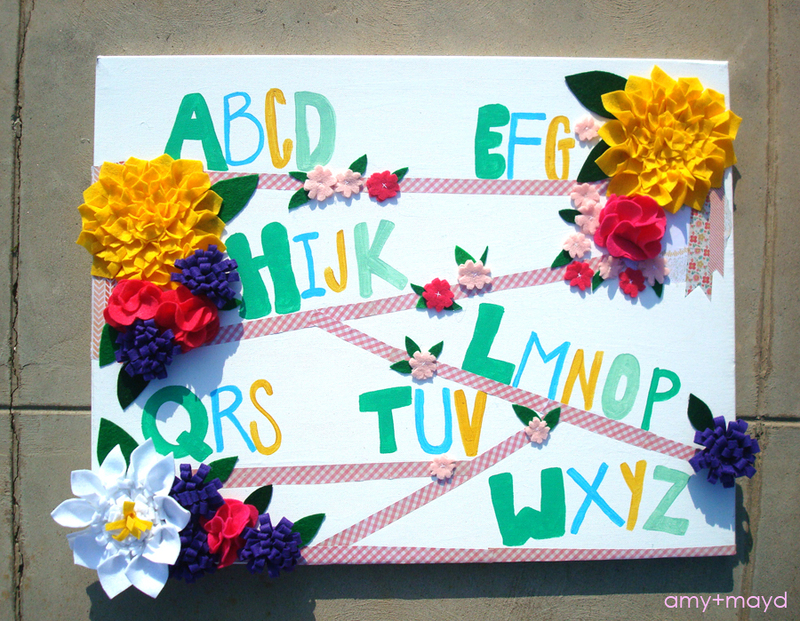 I first, simply painted the ABC’s in a phonetic sing-song pattern on canvas but then after that I was stuck. Until now!! 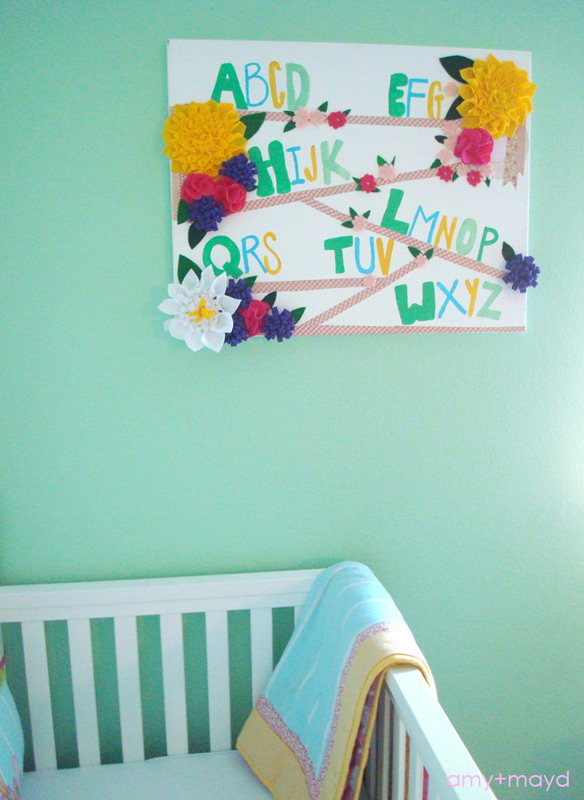 So today, I’d like to show you a tutorial on how I made this ABC art for my girls’ nursery room. This project was really fun for me but I’ll admit, it took some time, mainly the time was involved in making the felt flowers. If you would like to skip this step I have just decided to add my felt flowers to my etsy shop! I love making them and wouldn’t mind making them for you too! 1&2. Gather supplies and make or purchase felt flowers. 6. Lastly, after mod podge layer is dry, hot glue felt flowers in place. Make sure you use enough hot glue to hold the flower in place. And Viola!! You’re done… beautiful garden inspired ABC art. If you are attempting this project and need help feel free to contact me 🙂 Hope my readers are having a happy Saturday!